"Ellis had been visiting friends in Los Angeles and was still high when his girlfriend told him he had to pitch a game against the San Diego Padres that night. 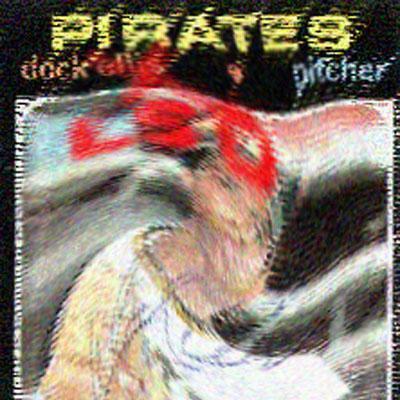 Ellis boarded a shuttle flight to the ballpark, took some amphetamines to mitigate the effects of the acid, and then threw a no-hitter despite not being able to feel the ball or clearly see the batter or catcher." Is that crazy enough for this contest? In honor of his feat, I present my mix for him. First a song about baseball, then a song about acid, then a song about baseball, then a song about acid, etc, etc. I don't know how they felt about baseball, but they liked drugs. Playing baseball on acid is like baseball, but better. Conveniently, Yo La Tengo is good music to listen to when tripping. Alice in Wonderland is terrifying. "in my dreams, i see myself hitting a baseball in a green field somewhere near a freeway, i'm all tan and smiling and running from 3rd base"
Unlike Jenny, no Padres hit baseballs that day. Not that i can prove this is about tripping acid, but it sounds like an acid trip to me. AIH is kind of freaky, whether you're tripping or not. Hey, you like acid, little boy? Nobody can throw the ball like Catfish can"
12 Jimi Hendrix Experience : Are You Experienced? "This is a song I wrote about a girl I knew in high school in Baltimore, Maryland who used to take LSD and lie out in a field behind the Yoohoo chocolate drink factory." Track 10 from Born in the U.S.A.
About an ex-athlete who is no longer in his prime. This is the closer, because, ironically, Dock Ellis is now a drug counselor. This mix is America's favorite passtime. As soon as i saw the cover art, i knew what this was about. brilliant.